If you’re not creating, or considering, video content within your digital marketing strategy, you probably should be. Video content on Instagram generates the most engagement, in terms of both comments and Likes. The latest stat to add to this list comes from Reddit, which has reported that it’s now averaging a billion native video views per month. Reddit first launched its own video hosting option last August, and according to Reddit, “it’s now the dominant way people are viewing and posting video content”. 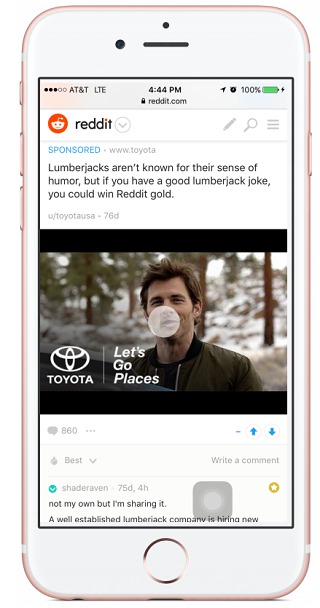 To capitalize on this, Reddit also launched native video ads, which autoplay in feed, back in June.